Steve Denton will be a keynote speaker at Affiliate Summit West 2014 on Monday, January 13, 2014 at Paris Las Vegas. Steve Denton is the vice president of Marketing Solutions for eBay Enterprise. Denton joined eBay Enterprise in 2010 as the president of eBay Enterprise Media and was most recently responsible for leading the company’s display, retargeting and performance marketing organizations. Denton has more than 13 years of digital media experience and has been successfully helping retailers and ecommerce companies for the past 20 years acquire and maintain customers using technology and services as an effective and efficient way to grow their businesses. Prior to joining eBay Enterprise, Denton served as the president of Rakuten LinkShare and has held leadership positions at FedEx, Pepsi and Cross Commerce Media. I’ve posted the companies that have registered so far to attend Affiliate Summit West 2014 on the Affiliate Summit West 2014 page. Scroll down to see the companies. 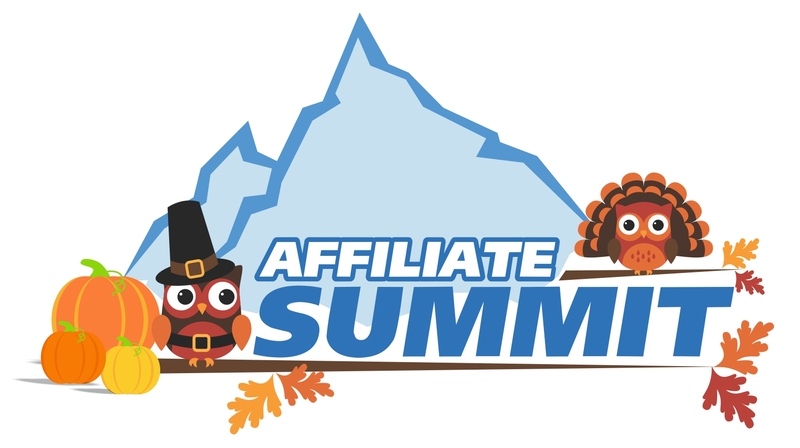 Want to reach these people during the three days of Affiliate Summit? Booths are still currently available (sorry, Meet Market tables sold out last week). Want Better ROI When Getting a Booth at a Conference? 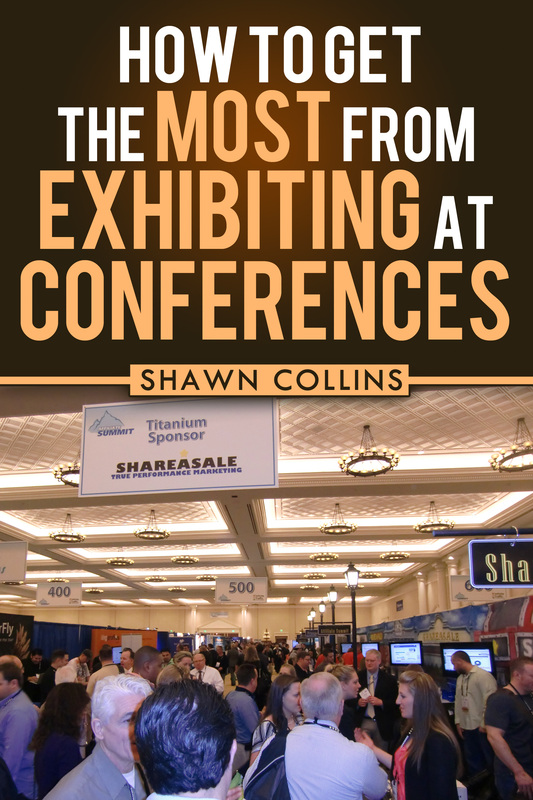 The new book, How to Get the Most from Exhibiting at Conferences, is available for free this week on Kindle. In the book, I share how you can make the most of your time at a conference, as well as pitfalls to avoid. The advice is based on my ten years as Co-Founder of Affiliate Summit, both from being a fly on the wall and talking to countless people over that time about what they like and dislike. It’s a short, quick read, and you can get it free on Kindle from October 28, 2013 through November 1, 2013. We are adding on a new, low-cost sponsorship opportunity for Affiliate Summit West 2014. There will be a Virtual Attendee Bag Sponsorship, which will be an email to conference attendees with special deals from various companies. The email will drop on Monday, January 6, 2014 to conference attendees, and the cost is $500 to participate. Got a special deal, trial, discount, etc. on a product or service that would appeal to affiliate marketers? Then this sponsorship is for you. Get details on this and other Affiliate Summit West 2014 sponsorships. The speakers for Affiliate Summit West 2014 are posted, so you can see who will be speaking, their title, which company they represent, and their Twitter name (if they provided it). Check out the Affiliate Summit West 2014 agenda to see when and on what topic they are speaking on. If you’d like to follow all of the speakers in one shot, you can follow the Affiliate Summit West 2014 speaker list on Twitter. The Meet Market for Affiliate Summit West 2014 has sold out. 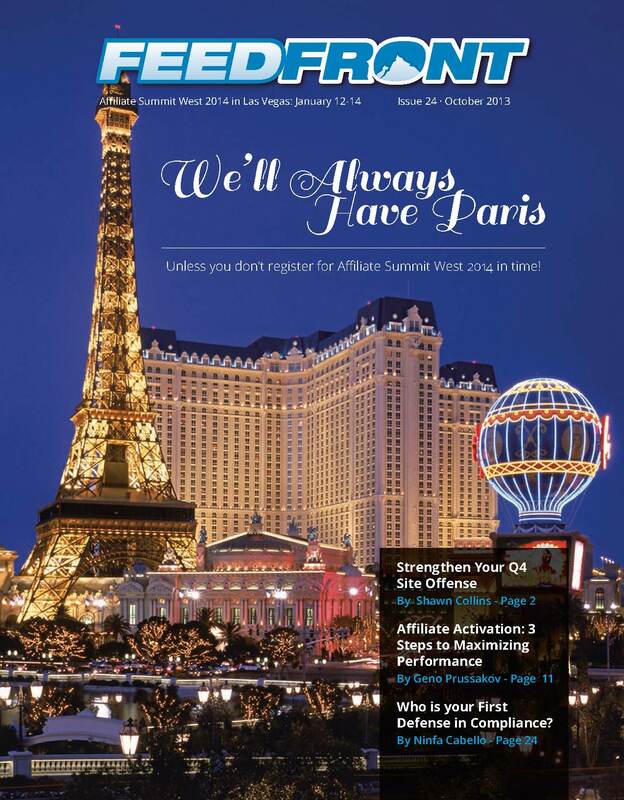 Affiliate Summit West 2013 is taking place January 12-14, 2014 at Paris Las Vegas. There are still a limited number of booths available for Affiliate Summit West 2014. Each table is a meeting spot for teaching, learning, closing deals, creating partnerships and finding new opportunities. Get on the Affiliate Summit West 2014 Meet Market Waitlist. FedEx is projecting that Cyber Monday will be their busiest shipping day this holiday season, according to BloombergBusinessweek. Cyber Monday falls on December 2 this year, and FedEx expects online retailers to drive an 11 percent increase from 2012, which would result in the highest volume in the history of FedEx. FedEx forecasts that more than 22 million shipments will move through their global network on Cyber Monday 2013. For the past two years, Cyber Monday has generated the most sales of any day in the week after Thanksgiving, according to ComScore. There was a 15% increase from 2011 to 2012 with a total volume of $1.5 billion last year. Online shopping indicators are good all around. In the second quarter of 2013, e-commerce spending increased 18.4 percent from 2012, while total retail sales rose just 4.7 percent in that period, according to the U.S. Department of Commerce. 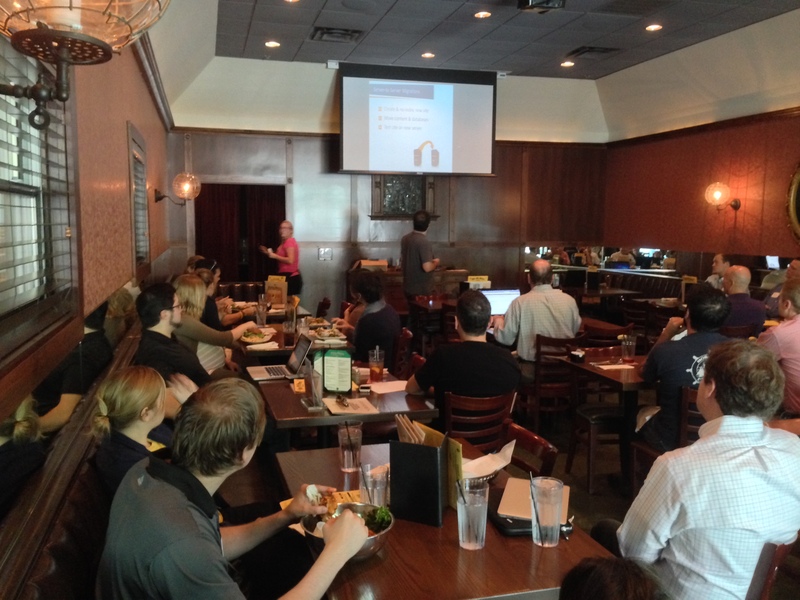 Chris Canada shared a checklist of everything you need to do to make sure your website and your rankings make it to your new web host or web design when you perform a migration at the Affiliate Summit Meetup in Austin, TX on October 22, 2013. Chris has been engineering complex WordPress solutions for some of the top brands in Austin and beyond such as Pioneer, France.com and WP Engine. He is currently a Senior WordPress Engineer at We Move WP, a WordPress migration & development service owned by Austin based Marketing Clique. There was also a lively Q&A time where Chris helped lots of folks with their questions about migrating websites and maintaining their search rankings. Thanks a lot to Chris and everybody that came out for some lunchtime shop talk. Derek Flanzraich will be a keynote speaker at Affiliate Summit West 2014 on Tuesday, January 14, 2014 at Paris Las Vegas. Derek Flanzraich is an entrepreneur on a mission to make everyone a “greatist,” someone who simply makes better choices for their fitness, health, and happiness. He is the founder & ceo of Greatist, a health & fitness media startup working to make healthy living cool. Greatist is currently the fastest-growing site in the space, with over 3 million unique visitors per month. Flanzraich was previously with Clicker.com (acquired by CBS) and NBC Universal’s Digital Entertainment Strategy & Operations, graduated from Harvard in 2010, and has been building brands and organizations that last since his dog-walking business at 10 years old. Besides everything health and wellness, he also loves theme parks & theme bars. Issue 2 of FeedFront Magazine is at the printer, so we’re on to issue 25, and we need content. The next issue of FeedFront will be coming out in January 2014, and we are accepting article proposals for that one through November 1.